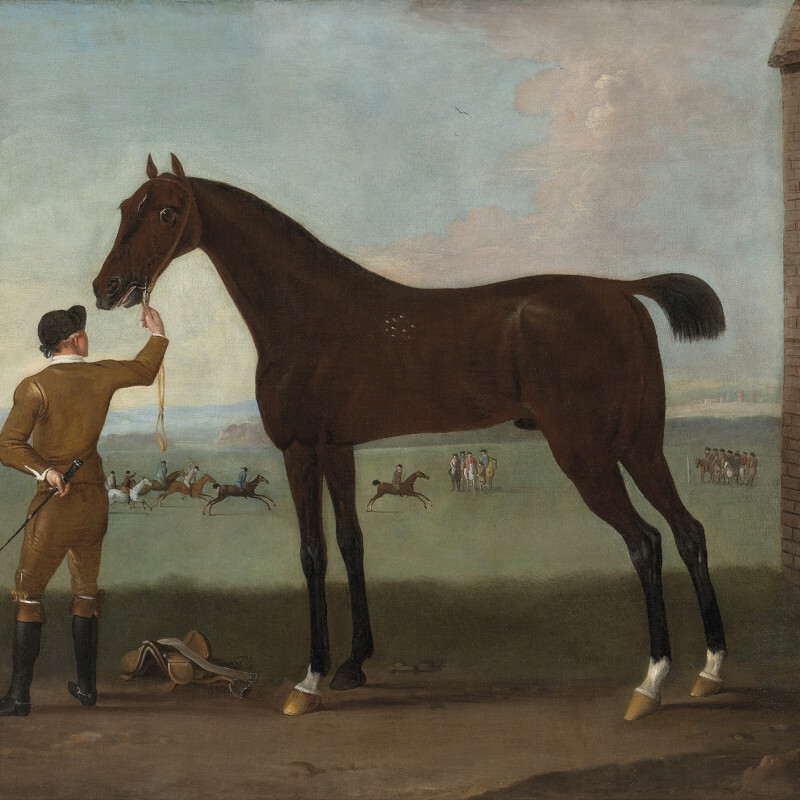 John Wootton was the pre-eminent painter of sporting and landscape subjects for most of the eighteenth century. Little is known of his family, although as a young boy he may have served as a page to Lady Anne Somerset, daughter of the Duke of Beaufort, on her marriage to Thomas, later Second Earl of Coventry in 1690. From these families he appears to have received encouragement to take up painting, and perhaps also an introduction to his master, the Dutch painter Jan Wyck (1652–1700). Wootton was in London by 1706, and was a founder member of the Academy of Painting and Drawing in 1711. By 1717 he had been elected a steward of the Virtuosi Club of St Luke's. Among Wootton's numerous patrons were King George II, Frederick, Prince of Wales, Sir Robert Walpole, and many of the most prominent members of the aristocracy.